Sterile Cefoperazone Sodium can be administered by IM or IV injection (following dilution). Adult: 2 to 4 grams per day administered in equally divided doses every 12 hours. In severe infections or infections caused by less sensitive organisms, the total daily dose and/or frequency may be increased. Patients have been successfully treated with a total daily dosage of 6-12 grams divided into 2, 3, or 4 administrations ranging from 1.5 to 4 grams per dose. When treating infections caused by Streptococcus pyogenes, therapy should be continued for at least 10 days. 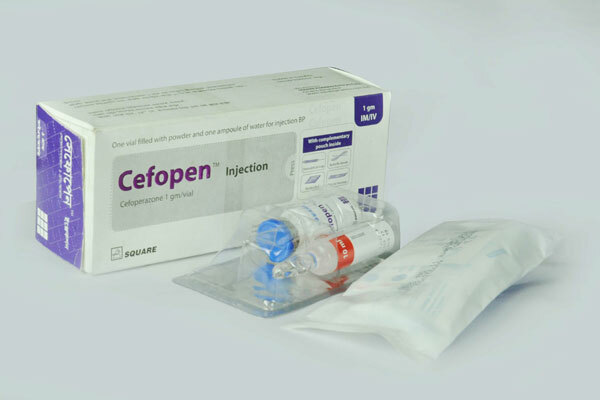 Cefopen 1 gm IM/IV Injection: Each pack contains one vial of Cefoperazone 1 gm powder for injection accompanied by one ampoule of 10 ml Water for injection BP. It also contains a complementary pouch comprised of disposable syringe (10 ml), butterfly needle, alcohol pad and first aid band. 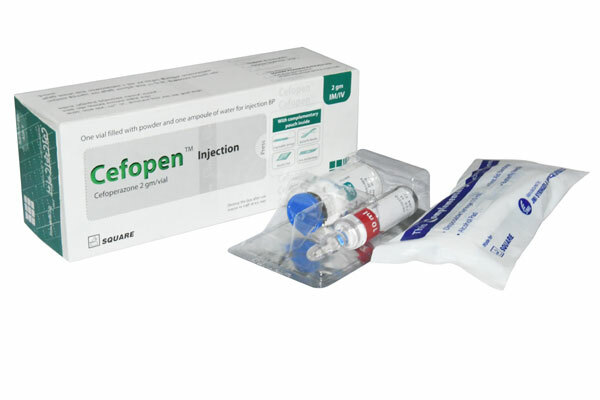 Cefopen 2 gm IM/IV Injection: Each pack contains one vial of Cefoperazone 2 gm powder for injection accompanied by one ampoule of 10 ml Water for injection BP. It also contains a complementary pouch comprised of disposable syringe (10 ml), butterfly needle, alcohol pad and first aid band.